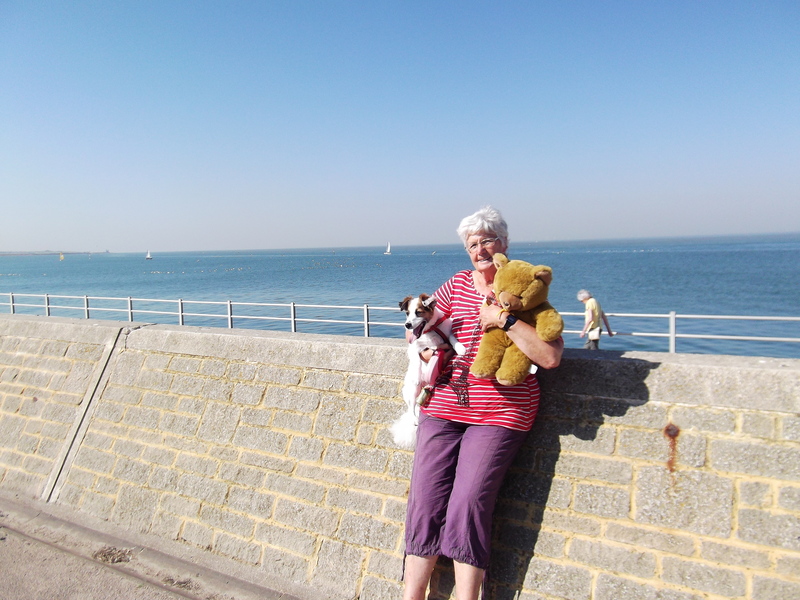 Mesothelioma My diary A day at Minnis Bay and the sun is beaming away. What another very warm and hot day. Records are being made now as the warmest day and we are promised it will be the same tomorrow and its the 1st of October. Christmas things are in the shop and we are in the hot hot sun, what a crazy world. We went to Minis bay but as we went through Whitstable it was absolutely packed, so many people who must have taken days off from work to come out in the sun. 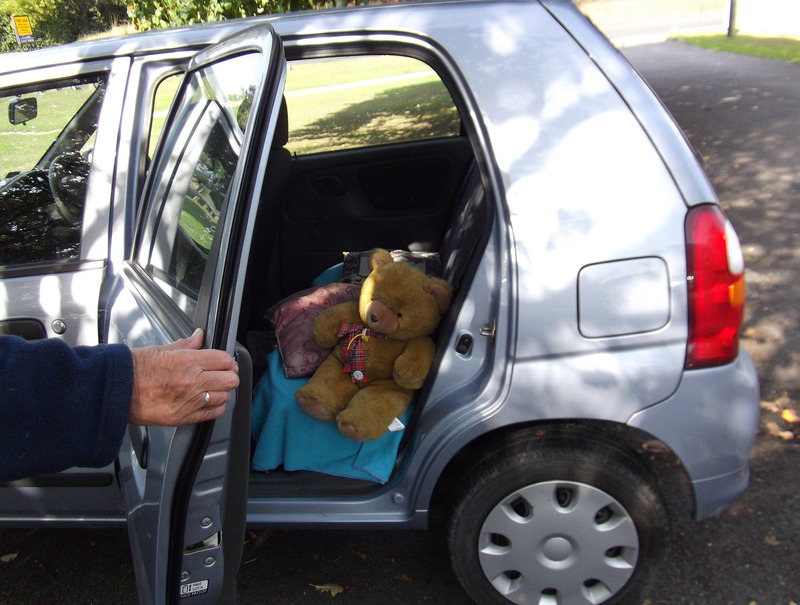 We carried on to Minnis Bay and parked up, walking to the Cafe for a lunch. Louis stayed under the table and was Ok when dogs came and went -Oh how life has changed with him. I love people watching and a group of 4 women sat down and ordered a meal but I could see how one of them was shocked at the price of a lunch. 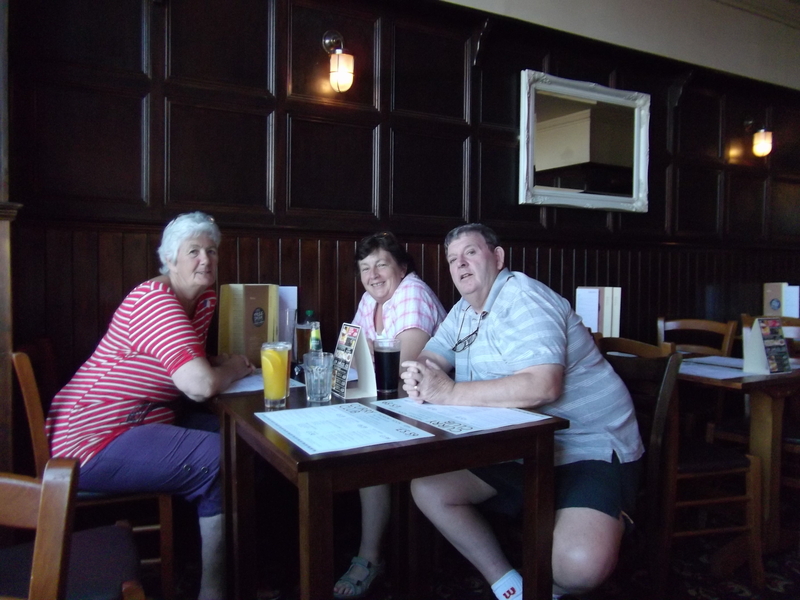 The bill was £55.00 for the food and a round of drinks was £15.00 the poor lady’s face it must be ages since she had come out for a meal and it seemed a shock to her as she tried to smile. A plater of Sea food was £45.00 for 2 thats the price on the board by the side of me. All the blue skies and Blue water it was just so nice. Mesothelioma My Diary Dinner with our friends, and bought our car. Days where you get up and you have nothing really planed are funny days arent they. We parked up a side road out side of a house where a lady was watching us park from her kitchen so I called out that we were only going to the garage and wouldn’t ma long, she shouted out “no problem” and laughedbless her. It has high seats so I can get in and out easier and is just lovely. 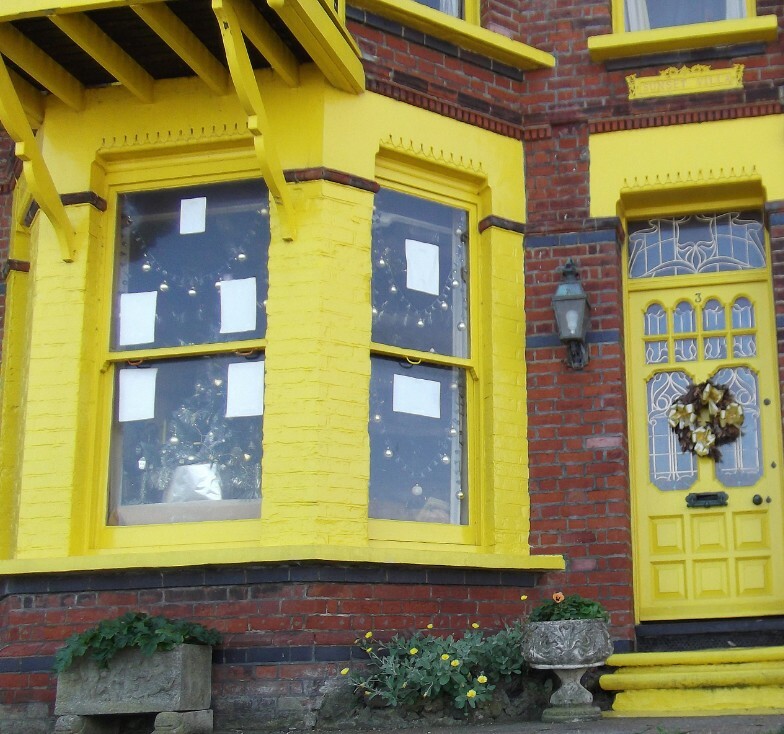 The owner was in essex so we said we would come back and went into Herne Bay for lunch with Mike and Linda as they had come down from Peterborough to stay for a few days. We had a drink while we waited for them to arrive and when the did we had a lovely dinner, as it was Curry Day, and a long long chat about everything. Mike has a great interest in my Lung disease as he too has been diagnosed with Asbestos damage to his Lungs as he had worked with it through his working life so he talks to me a lot and asks me questions about how I feel. We finally moved as we were so full up and needed to walk it off. 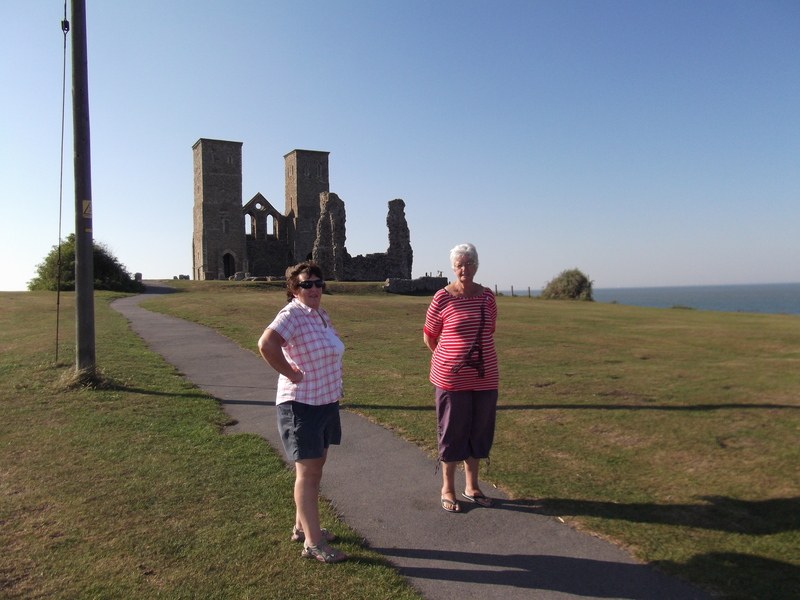 Mike asked what was the Gate was and I realised he meant the Reculver Towers, that you could see in the distant’s, so I said to Linda get your car and we can just pop along the coast. They were enthralled with the history and the fact they had never visited the Towers before. The southern half of the Roman fort at Reculver survives as ruined walls and earthworks. The core of the enclosing wall, which would originally have been topped with a wall walk and parapet, is mainly flint and in parts survives to a height of almost 3 metres (10 feet). It can be best appreciated by walking around the outer perimeter of the fort. It was originally faced with squared greensand blocks, but these have almost all disappeared. There were originally four gateway entrances – one through the centre of each side of the defences. Roughly in the centre of the east wall was the east gate, which consisted of a single carriageway 2.7 metres (9 feet) wide contained within a masonry arch and with a single guard chamber to the north. Tiles in the walls enclosing the guard chamber may represent a later rebuilding. The south gate in the middle of the south wall was of similar form. We had a nice walk all around and then drove back to our car and said bye until we meet in December again. 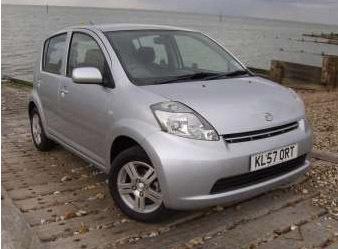 Off we went back to the garage and the owner was back so we went for a test drive and we were very Impressed with the car and carried on and did the deal. We went to Tesco to get some milk etc and at the till thee was a young couple, she was asking him to buy her a Tesco bag and when he said yes she wouldnt stop kissing him. She said to me isnt he good to me, laughing. I said if he gets all that for buying a Tesco bag what does he get if he buys you an expensive bag. She said Laughing mind your own Business. The cashier nearly wet herself laughing and Ray said there thats cheered your day up. Its great to be happy isnt it then everyone around you enjoys the moment. Well that was my day I need a rest tomorrow ha ha !!! It has been such a hot night and then a hot day phew!!! We had all the windows open so we could hear the traffic on the Thanet way all night long. Dont people go to their beds? ha ha !!! I got up in the early hours and made a drink, then went back to bed and slept through to 7.30am which was good for me. I did the housework and had a coffee and toast then gathered the dog up to go for his walk. Had a chat to my good neighbour about her mother and off we went. Tankerton Slopes of coarse where Louis jumped out of the car and did an exhibition of his jumping up in the air to make through his ball much to the amusement of the visitors all sitting on the benches. 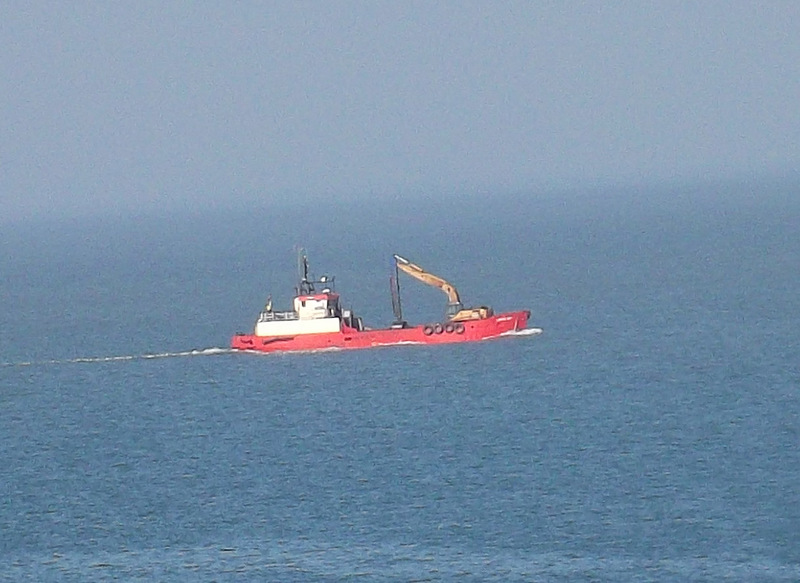 We saw our little red boat at sea again, the one we had seen in the harbour yesterday. At the harbour though it was very peaceful with people sitting on the walls and in the gardens really enjoying this extra sunshine we have. 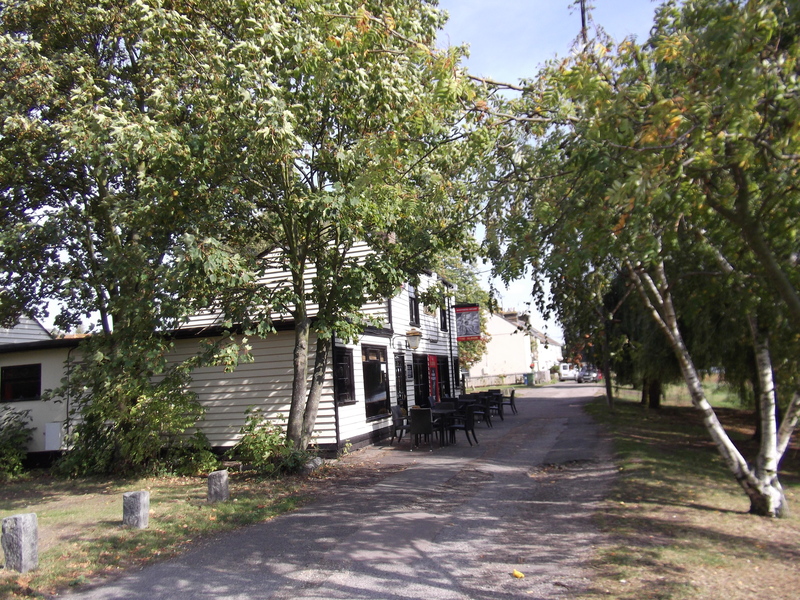 At the end of the walk along the front it comes to the Bun Penny Public House and we hadnt seen that it had been destroyed by fire. How sad is this as I have spent many a time having a drink there. 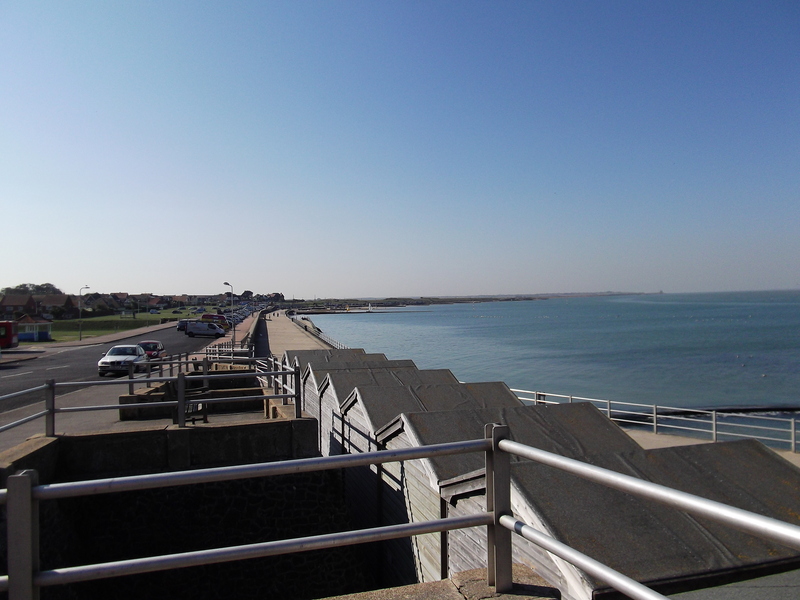 When my Mum and Dad lived at Seasalter we often would walk to here and have nice drink with them and our children. Mind you after reading the comments it would seem it became an uncontrollable Drug abuse Pub and so glad I havent been here for a long time. 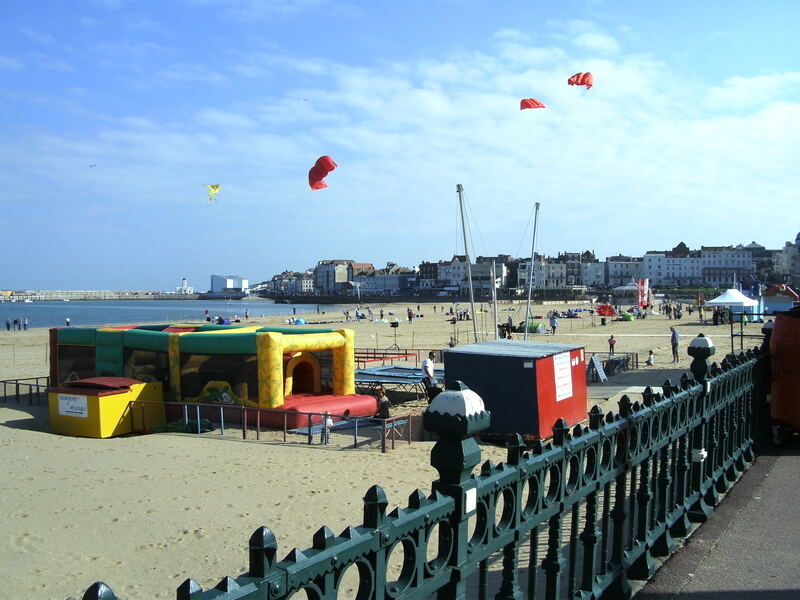 After walking around the High Street we came back to the sea front and ate an Icecream watching the world go by, we also were looking at every car making a mental note of the ones we like. We dont want to rush just taking our time. Back home to a late lunch and a sun bathe in the back garden. Had a phone call from my new hospital and all the examinations are being done together on Tuseday. A talk about my history, blood tests, ECG and Scan so i will be there all afternoon. Mesothelioma My diary Watched a film on my Computer with my Warrior friends around the world. We stayed up late last night to wait for the showing of the film Breathtaking on the ADAO Web site. This was Awesome . All around the woorld we gathered around our computers and Linda Reinstien Introduce the 45 min film and we watched it but talking to each other and raising questions Like a chat page. The film was about the life and death of Kathleen’s father with mesothelioma but she went further by visiting a Canadian mine and also India where the workers are affected by the Asbestos. Afterwards Kathleen answered all our questions and then it was all over. Im honoured to have taken part in the conference. A lovely warm and sunny day today this is really wonderful to have a Indian Summer, we can sit out early in the garden for a early cup of tea when the birds are just waking and the traffic starts going to London, so many people have moved down here and then travel to London daily for work . I felt really shaky today as I must be so tired, a late late night and still wake up early, so I did just take it very slow, working on the Computer and having breakfast. After polishing the Lounge out, then out with the dog in the car to Tankerton and had a walk round in the sea mist. 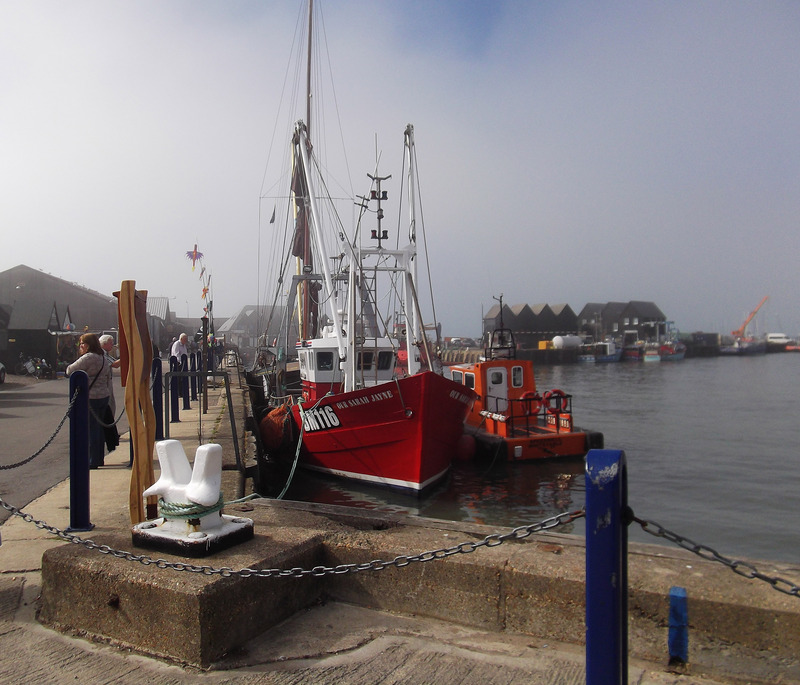 Ray then said lets go and look at cars so we went back to the Gorral Tank and parked up to walk around the Garage forecourt but we couldn’t find the car I have in my head, so we walked around the harbour and the red boat that I see at Tankerton was in. So now I know what it looks like close up. We came home and had dinner and then I dropped off for a catnap and felt a lot better. I had a chat with Dave next door as he was putting out his washing. Louis had a bark at a little dog as it came by, everyone thinks he sounds so angry but he is only angry with me that I wont let him run off lead through the gate to play. I said to Ray I ought to get a spray bottle to use and say “No Bark” but we have come a long way with him so far. Hark Im always talking as if he is the only one that barks but of coarse that is so not true as we are surrounded by dogs and I love it when the postman comes and all the dogs bark warning each other “Its the Postman”. Ray has spent a lot of time with a neighbour trying to help him and he doesn’t know anything about computers so its very hard but he is getting there. We had another small walk again as the weather was so nice. I was so puzzled it turns out he is in Oxford which was a lovely surprise so we are going to arrange fr him to come to see us in the next few weeks. He should have bought Rod over with him that would be a wild party. Had a pop round around to see my friend and make sure she was OK and then came back to have tea. 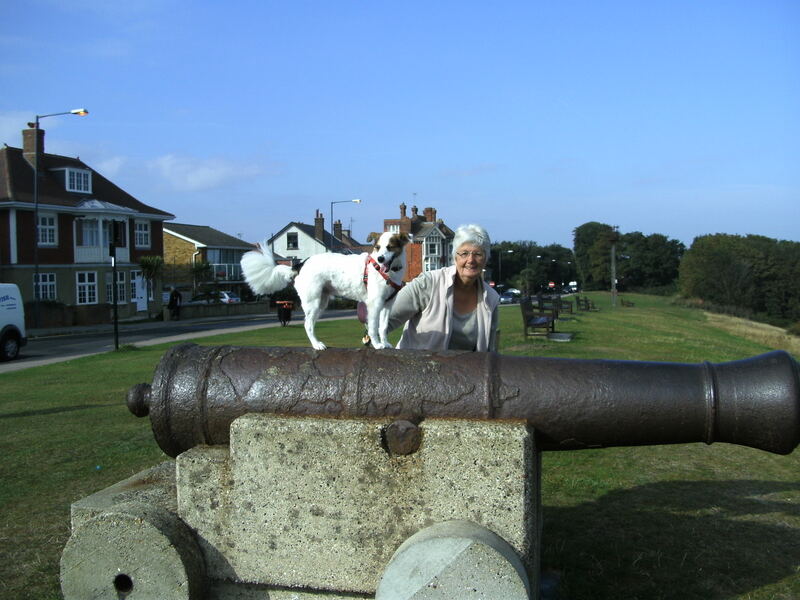 Mesothelioma My Diary Appointment made for Scan and Blood test and we saw a steamship !! Today started very grey and black I thought we would be in for heavy rain so I went out and tided some Ivy growing on a tree and had a sweep around in the front thinking it might rain anytime but no it didnt. I phoned Maidstone hospital and spoke to Karen (the trial research nurse) and she was very kind and said she would arrange my appointment for next Tuesday 4th October so that I had everything done on one day. So that was all settled. 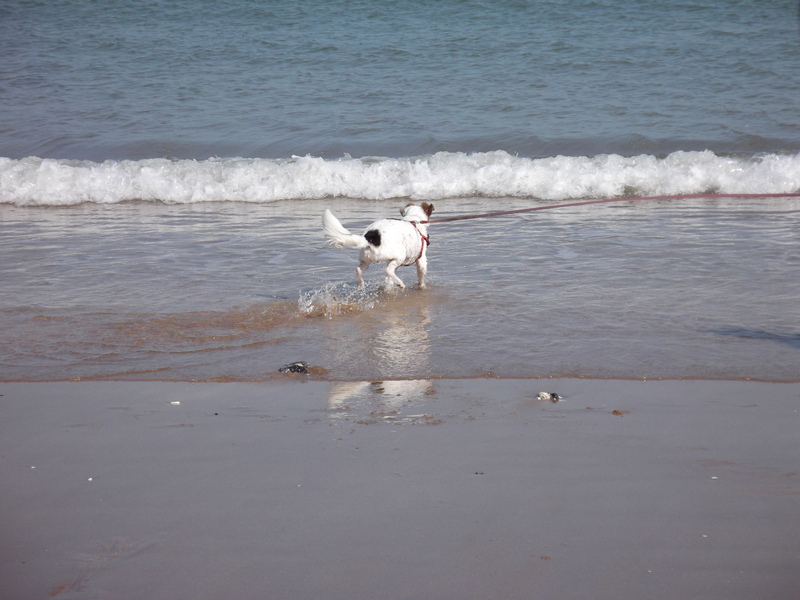 We thought we would do a beach round walk as we hadnt done that for some time and I did slowly walk to my own pace. 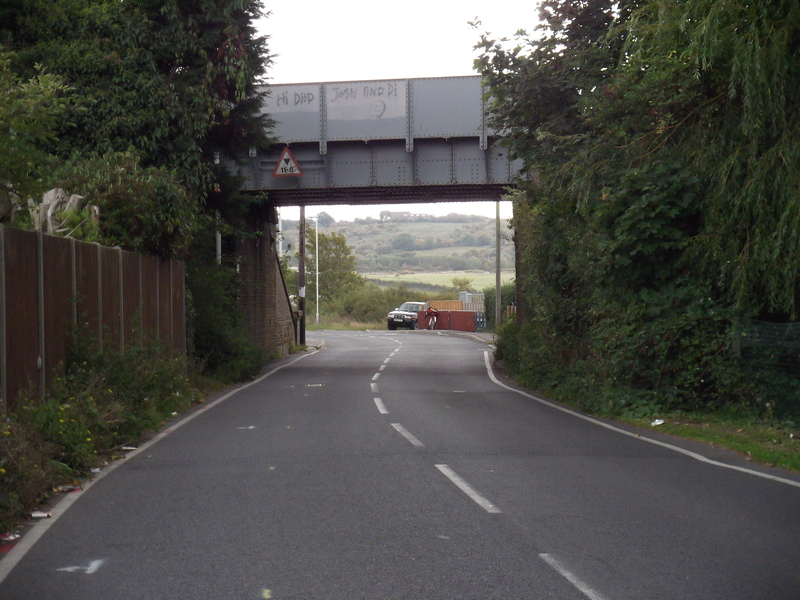 I couldnt believe when we got to the Railway bridge but they have marked it out for a pathway. I knew they were going to put a pathway under there as it is dangerous the speed the drivers can go on this road. Look at the photo and imagine a pathway taking over half of the road on the right hand side. That will mean the trafic will only be one way at the time but also that they will have to pull over to the left and a wall juts out. 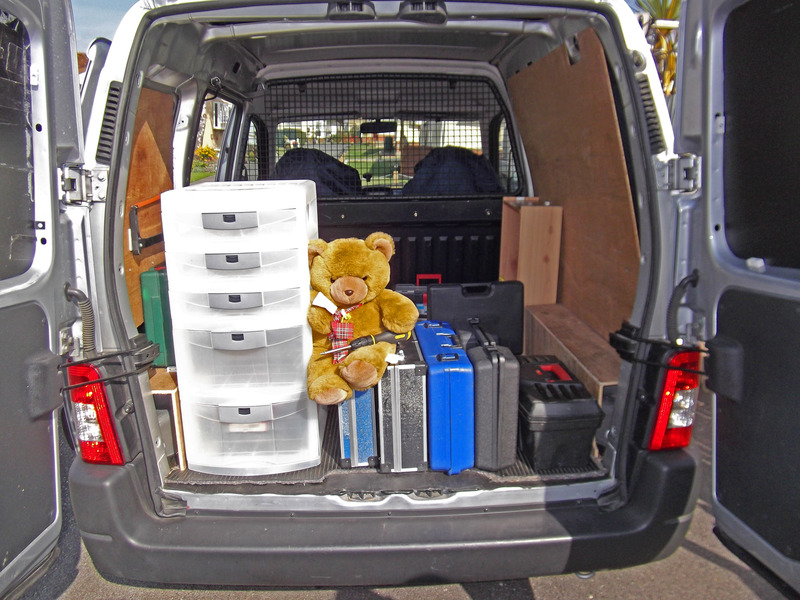 Oh dear there will be a few scratch vans as they try that. 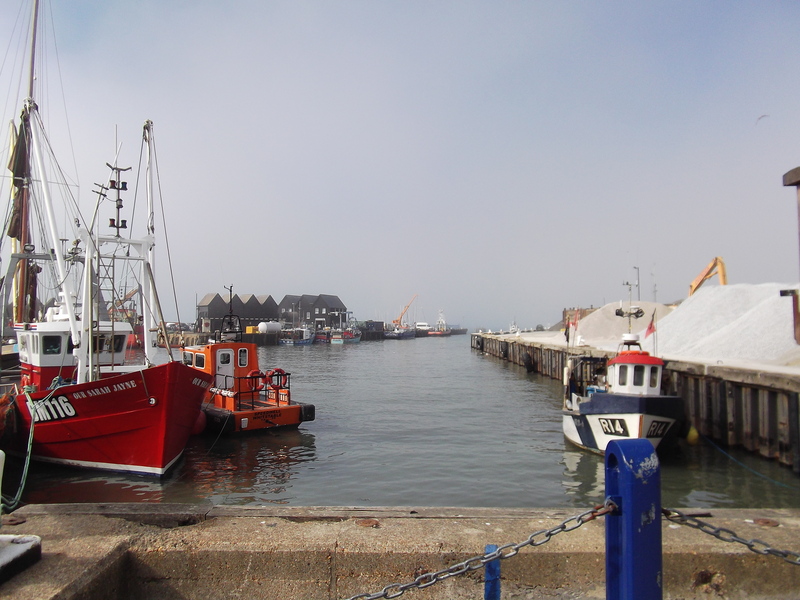 The Waverley arrives at Whitstable harbour for its 7½ hour cruise. 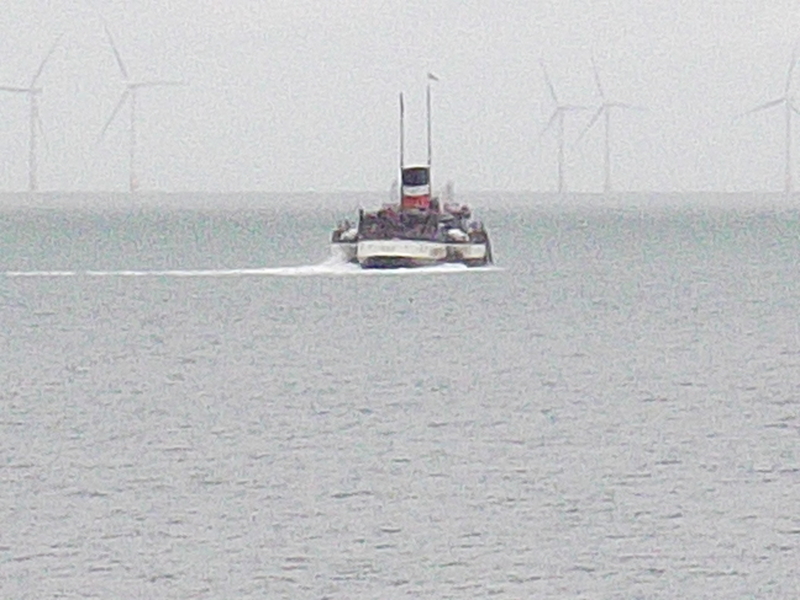 It is already partially filled with passengers as it actually starts its voyage at Margate. Off we walked seeing Janet Street Porter pull up by the side of us, she walked round the back and was slamming her hatch back door but it wouldn’t close, she looked cross so I didnt say hello. She did look cute though in a gym top and grey tight shorts she look lovely with her red hair better than she looks on telly. 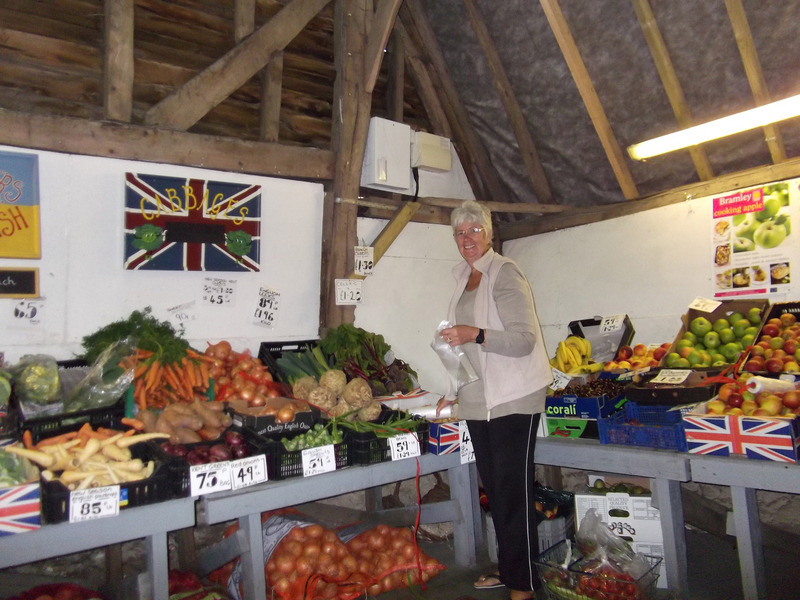 We see her in Tesco’s now and again though –she eats very healthy wink -I know Im nosy like that ha ha !!! We then got back home for lunch. The sun came out and it got warmer and warmer it was to nice to be in doors so I sorted the back of my shed out. The place I keep 2 bikes and I also put things to store there. After finding that little baby Ratty Rat I have made sure there is nowhere I could have a nest, So I have got the bikes out and washed them as my Son is going to have them as I haven’t got the breath for cycling. They have been brill when camping but I have to be sensible now. So I really had a good tidy up and was very satisfied when I had finished that job, and I have no nest in my garden that’s for sure but cant say the same for the overgrown garden behind me. The house has been empty for so long that the garden is over grown. I will have to have Louis on Patrol more. I finally came in to a cup of coffee and a rest then cooked dinner. Stuffed Marrow for me made with cheese and breadcrumbs and tomatoes. Lovely!!!! Mesothelioma Diary Found a Baby Rat ekkk and Miles has been on his travels. 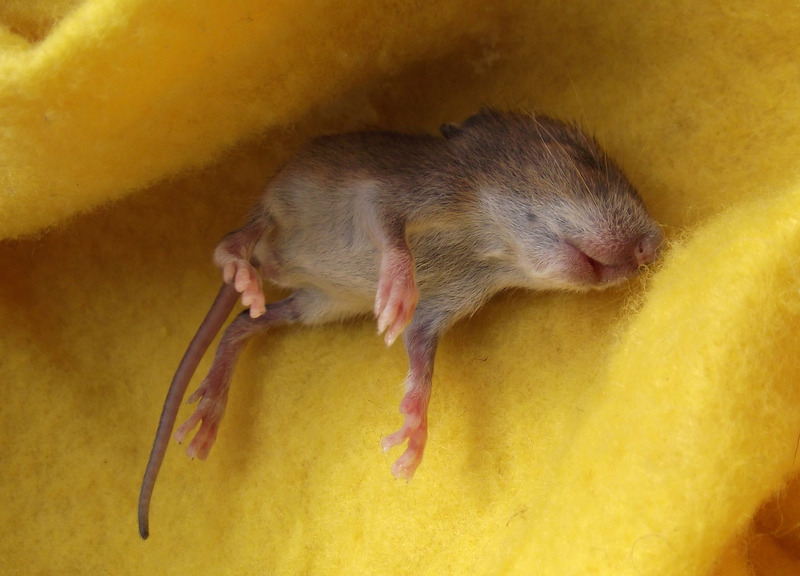 A bit of excitement today as we found a little baby, what we thought was a field mouse. He was brown and so cute, Ray wrapped him in a yellow duster and put it in a box as we thought it was cold and it couldnt move around. Louis said hello to him and treated him so softly I was amazed. he didnt open his eyes but did start to move around but was so weak. We went out and when we got back he was out of the box and had his eyes open. I asked on my MHFacts forum what it was and the answer is a brown RAT!!!!! My neighbours are all tidying up and cutting back as Iam for the winter so someone has disturbed a nest it would seem. It has disappeared this afternoon but on the forum someone said ( Defo Rattus norvegicus (brown or sewer rat). I would put it back where you found it. Rats (including baby rats) produce ultrasonic chirps, which this rats mother will respond to. 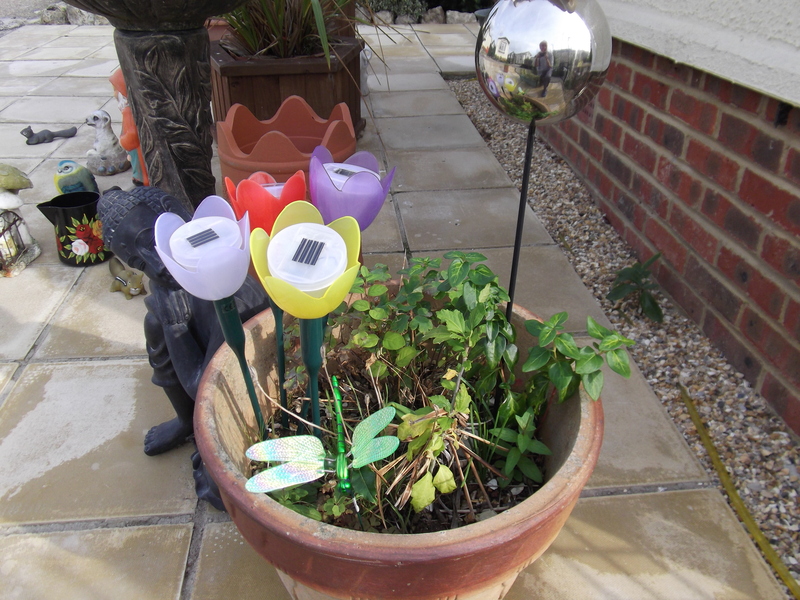 I have not seen any rat dirt so I just hope they dont stay in my garden. It was good though having the opportunity to meet a baby and see it at close hand. 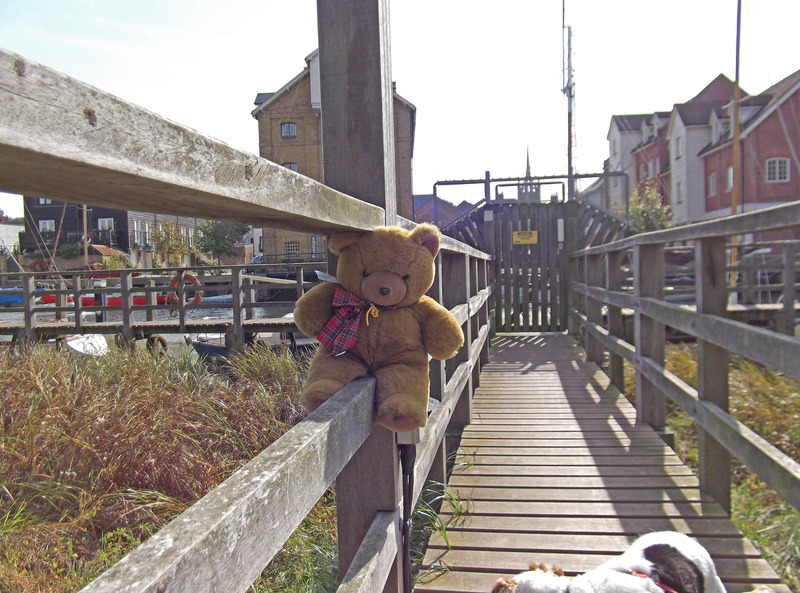 We did go out again today and took Miles the MHFact Bear with us as people are following what he gets up to and where he is. 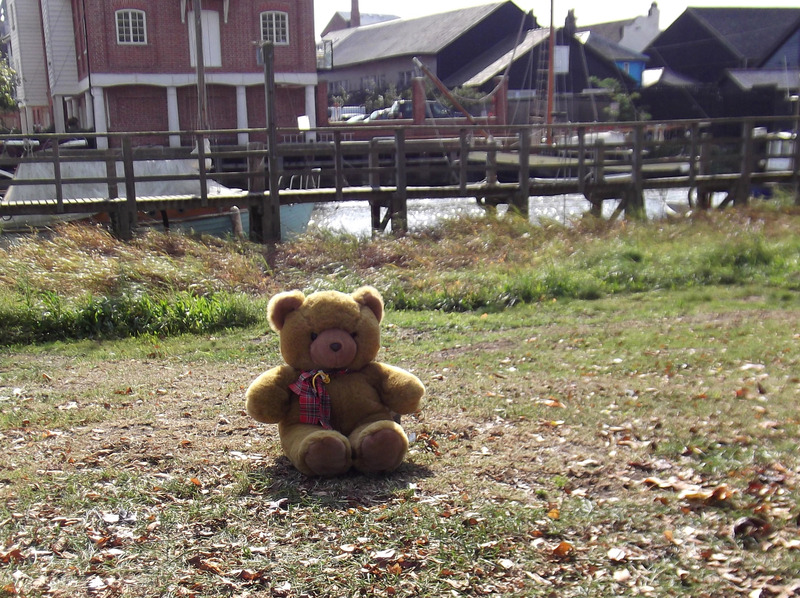 We went off for a walk on the tow path but they seem to have built houses right down on the river so we couldnt walk right through and got lost but we had a good walk so we turned back to the car. 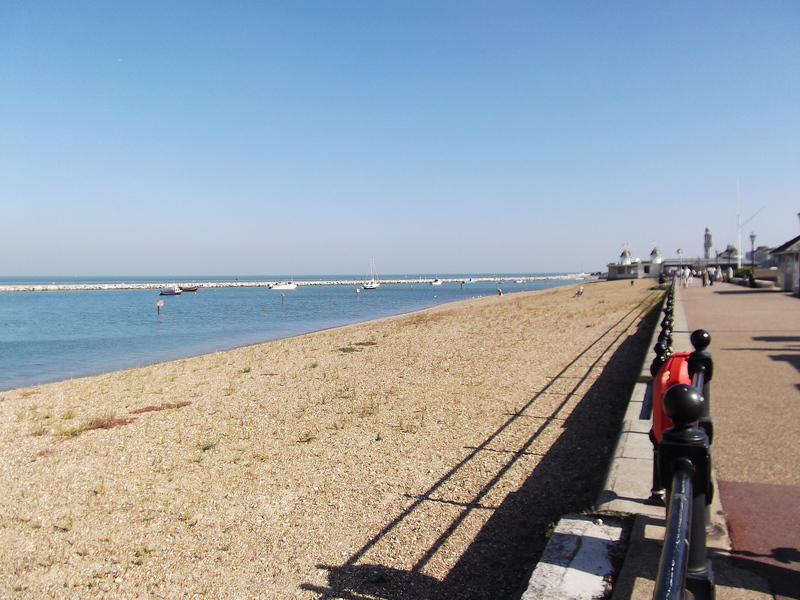 Then ray had a brill idea to go back to Whitstable and look for a new car –Oh dear–this meant trying to park on a Sunday on a very hot sunny day –No! No! we couldnt get in anywhere and Ray’s blood pressure was rising so I made a quiet suggestion we went home for lunch. He is tucked away now but it has been fun. 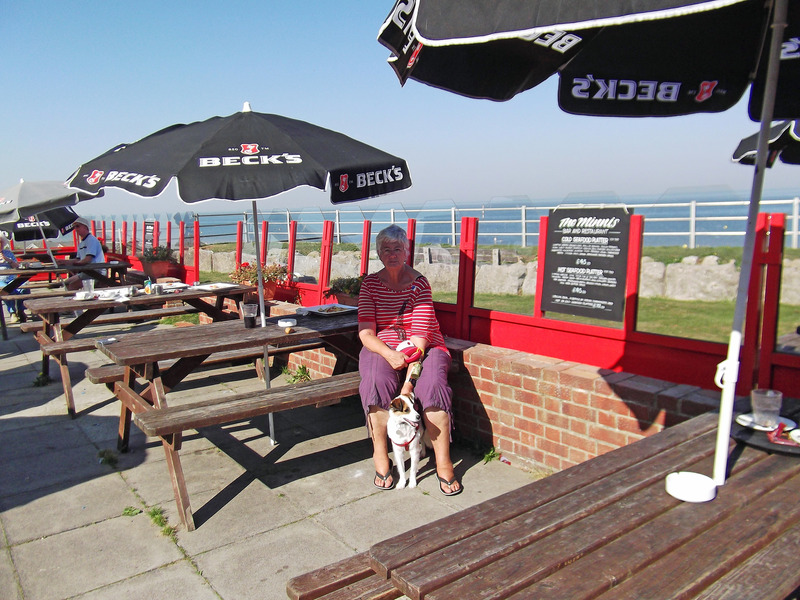 Mesothelioma My Diary A day touring the Isle of Thanet, a really warm day to. I was going to Canterbury but Ray suggested that we go to Margate as he had sauced a new camera for me to use on my blog. We keep a small camera handy with us all the time and this has been so helpful as we see all sort’s of things on our walks and Rallies which make up my blog. Ray has a large camera as well but the little one is carried on his belt but it has suddenly broken down. 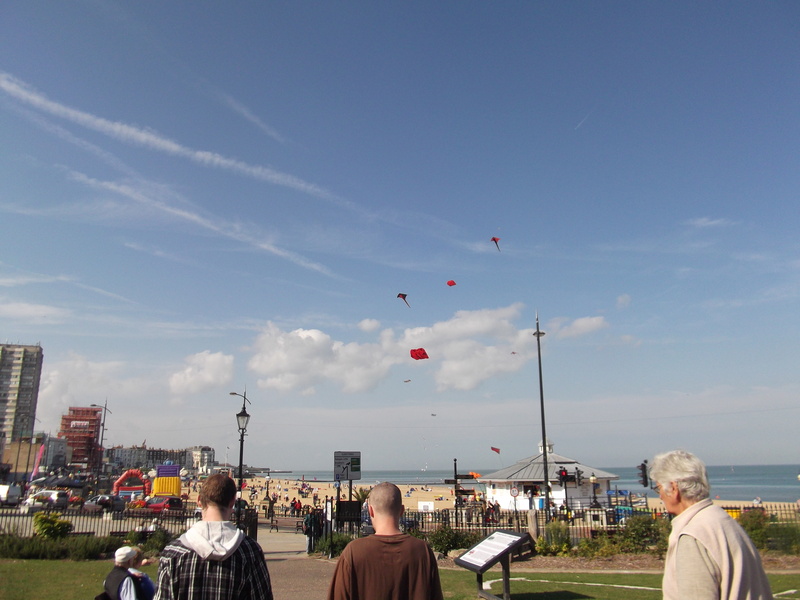 We set off for the trip to Margate parking on the sea front at Westgate, walking round into Margate, the sun was beaming down on us and there was a kite flying festival on the beach which was so good, the music was great as well. 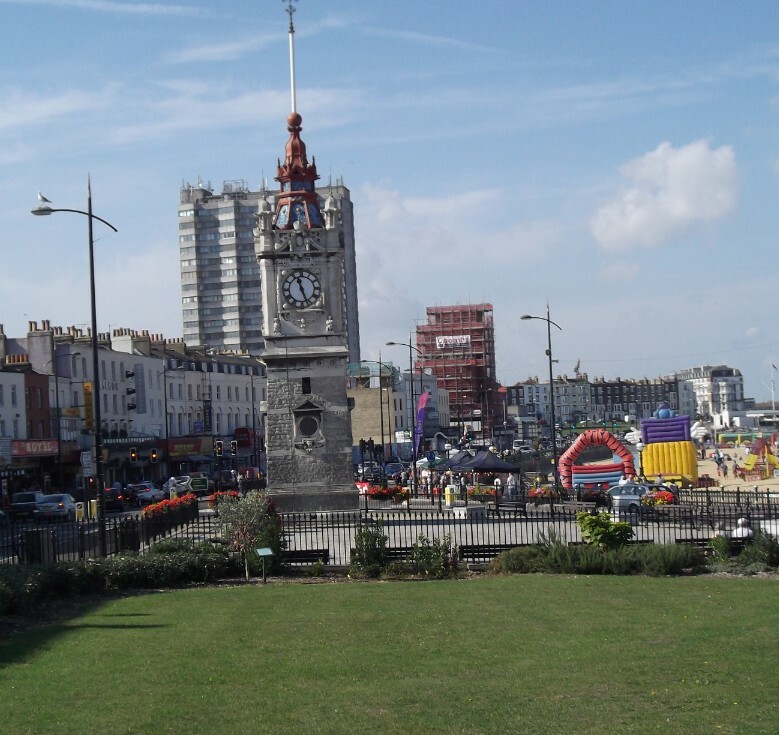 I know we have said before that Margate is getting very shabby well today with the sun shinning it was just a wonderful place to be. 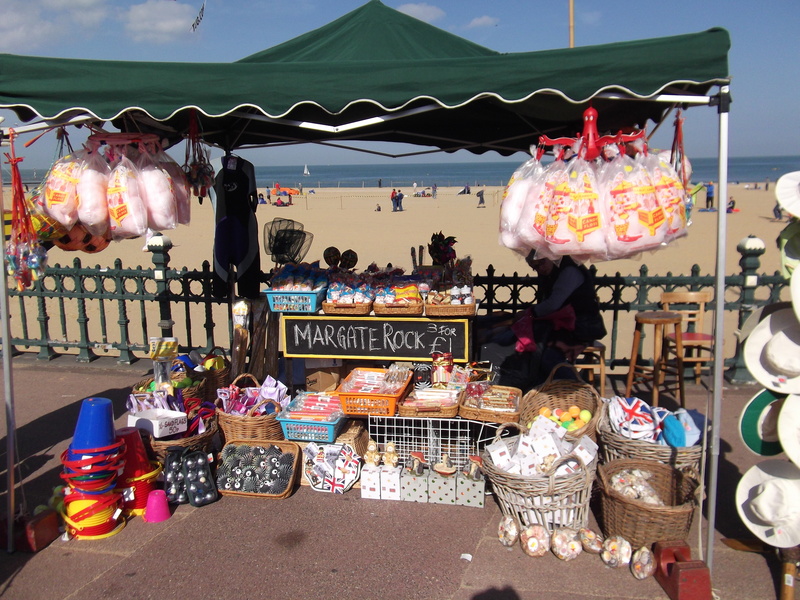 I bought some Margate rock as a fun silly present to put in the children’s stocking at Xmas. 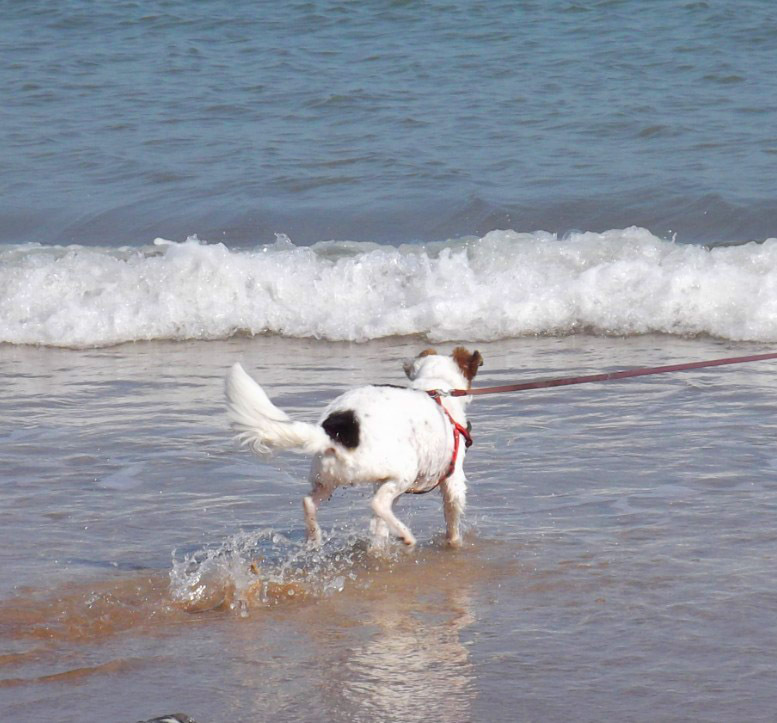 On to Jose bay where Louis ran and chased the waves so I couldnt let him off the lead as he would have just run and run and anyway he would have got himself real sandy and i have just paid a fortune for his shampoo wash ha ha !! The North Foreland Lighthouse was the last manned lighthouse in the country until its conversion to automatic operation in November 1998. 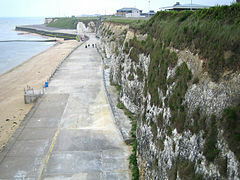 Its presence serves to mark the southerly entrance to the Thames, and also warns ships of the Margate Rocks, a local marine hazard. A light was first exhibited at North Foreland in 1499, but the first real lighthouse was built by Sir John Meldrum in 1636. The lighthouse consisted of a two storey octagonal tower made of timber, lath and plaster with an iron burning grate on top. 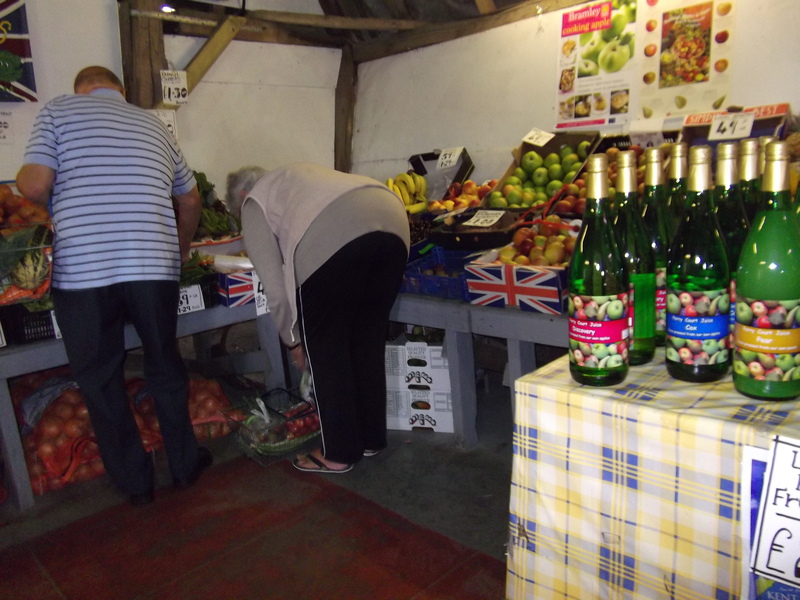 Well that was our coastal tour so we went along the road into Broadstairs and back on the road to home, calling in a Farmshop to buy some really lovely fresh vegetables and fruit. The standard of their wares was very high quality and i will make sure we get there more often in the next few weeks while back on chemo. We got home and made a coffee and had a snack, then I spent the rest of the afternoon tidying up the back garden, just cutting back some growth and sweeping up so that it all looks good again. 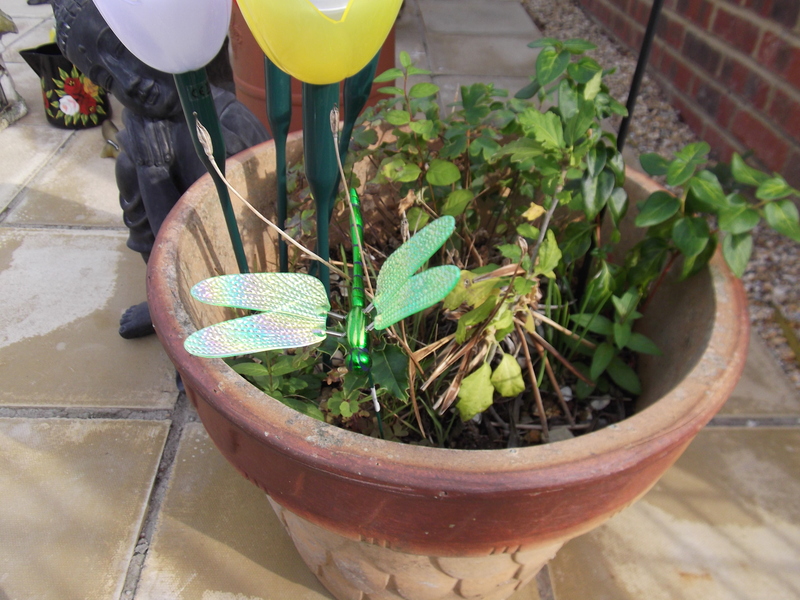 I asked Debbie why we use the Dragonfly and the wonderful answer was :-I love what they symbolize. I love the fact that they go from one life to another and change into such a beautiful creature, such gorgeous colours. When I was diagnosed, I wanted to move on and be positive. What better way than to be reborn, wipe the slate clean and start again with my new life. 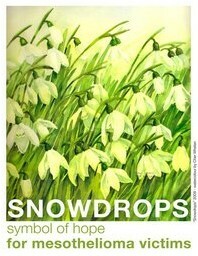 I love that, so sweet but the official Snowdrop another lovely lady said Hi Mavis, I think the snowdrop was used because the word Snowdrop means Hope – there is also a snowdrop Angel – I am making some and will send you one soon, I love the Mesowarriors we are always such friends.